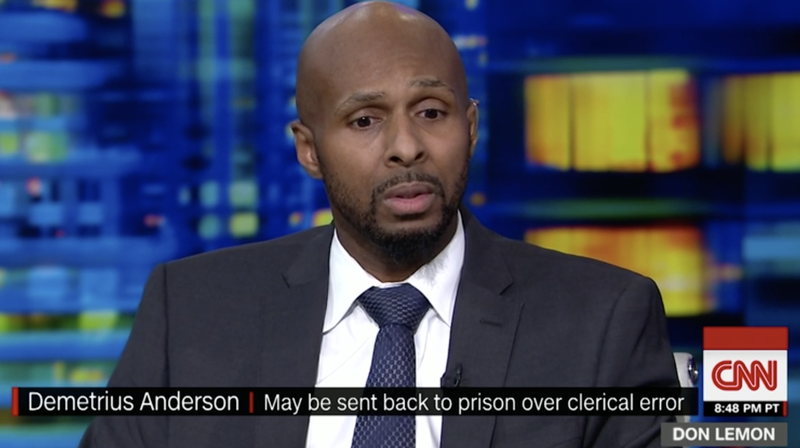 Updated, 4/3/19, 8:42 a.m. EST: Demetrius Anderson will not have to return to federal prison, according to his lawyer on Tuesday. Fox 61 News reports that the lawyer said that there was a miscommunication between Connecticut’s Department of Corrections and the feds when Anderson was released back in 2006. The site reports that a deal was struck, and Anderson was given credit for the time he supposedly owed the government. Anderson is a free man.